AS-PL sp. z o.o. 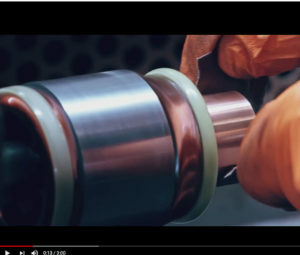 (www.as-pl.com) the Poland based rotating electrics company, currently on a major growth curve including the UK & Ireland, has launched its new corporate video. The video allows the viewer the opportunity to see the whole extent of the company business, from the inside out. The content clearly highlights some of the huge differences between AS-PL and many of its aftermarket competitors in “what AS delivers in terms of product, quality and after sales service.” The video covers both the Gdansk Head Office and Warehouse facility as well as taking the viewer on a tour of the vast Lubichowo factory and production lines.